Reports from the Department for Transport showed 32 people were killed during 2016 in road traffic collisions where the driver was using their mobile phone. Motorists who risk lives by using hand-held mobile phones behind the wheel will be targeted by Northamptonshire Police during a week of enforcement action. Between today and Sunday, January 28, Northamptonshire Police is taking part in a national operation to target this offence and educate drivers about the risks and penalties it carries. These doubled in March last year to six points and a £200 fine, with those caught within two years of passing their driving test automatically disqualified. PC David Lee of the Safer Roads Team said: “Driver distraction is a major cause of road traffic collisions, and even glancing at a mobile phone means taking your eyes off the road and risking a crash. 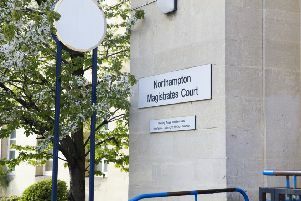 Between the introduction of the increased penalties on March 1, 2017, and December 31, Northamptonshire Police issued 231 fixed penalty notices for mobile phone offences, with 81 people taken to court. The National Police Chiefs’ Council Lead for Roads Policing, Chief Constable Anthony Bangham, said: “Nearly a year on from legislation to toughen the sanctions for using a phone at the wheel, we are seeing some change in driver behaviour but there are still too many people underestimating the risk they take. - By law, the only time you can use a hand-held mobile phone while driving is to call 999 in an emergency. Otherwise you must be safely parked – this does not include being stopped in traffic, or waiting at traffic lights. You also must not use a hand-held phone if you are supervising a learner driver. - Hands-free kits are allowed by law but they can still be a distraction. If a police officer thinks you are not in proper control of a vehicle this can also be an offence.